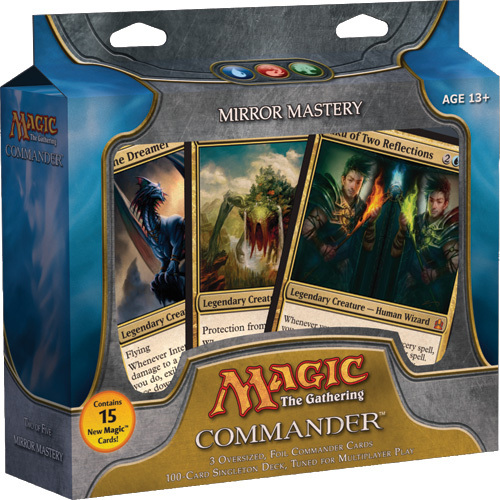 While I did cover the Commander products previously when they were announced, there is quite a bit more info this time around and there happens to be some new tidbits that just surfaced. Topical joy! For those of you just tuning in, here's the link to the original post (here) and the product page (here). 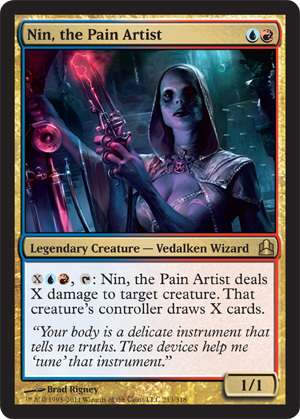 Things we can assume thanks to the Achievement Card from the Launch Page (here). 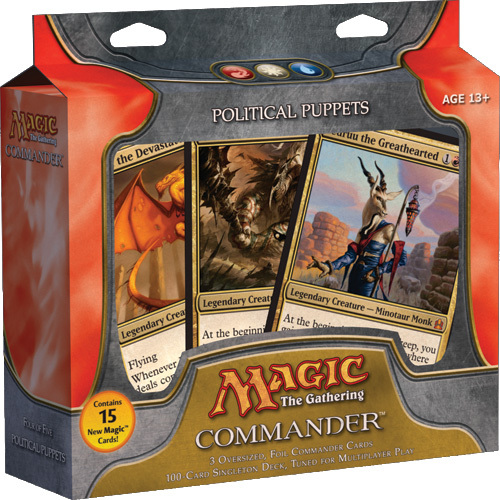 - Each deck will include a "Command Tower" that can produce mana. 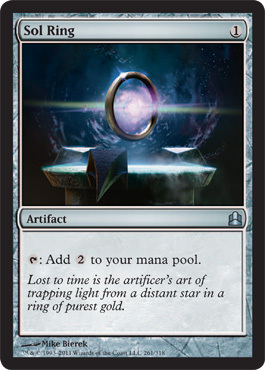 - Join Forces will be some kind of mechanic where you pay mana for a spell someone else plays. 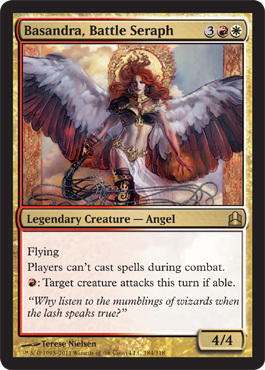 - Kaalia ( commander) deals with Angels, Demons, and Dragons or they're simply prominent in the deck. 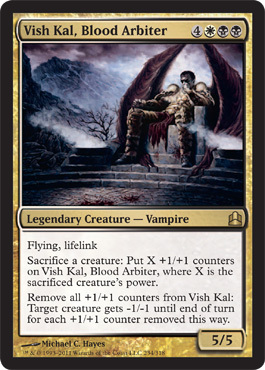 - Riku ( commander) seems to make tokens that are copies of your own creatures. 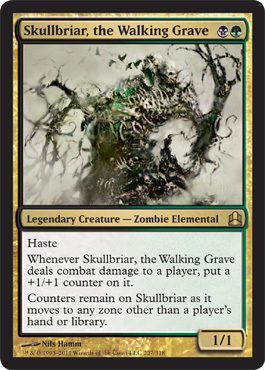 - Ghave ( commander) most likely creates Saproling tokens. 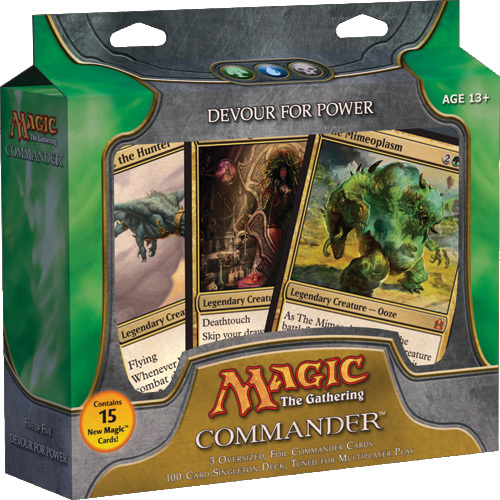 - The Mimeoplasm ( commander) enters the battlefield with +1/+1 counters and gains keyword abilities. 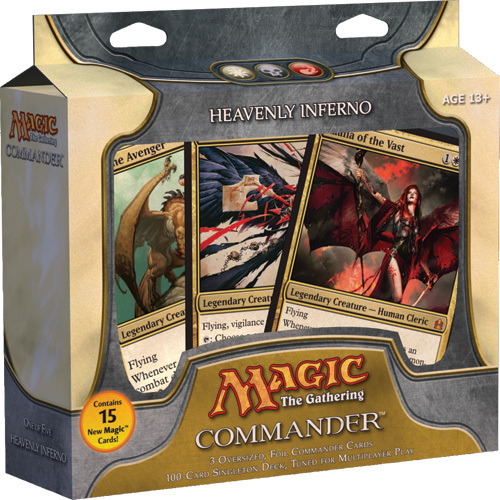 Each deck will be coming with a copy of Sol Ring (the staple EDH card that would normally cost $15). That's spectacular news! 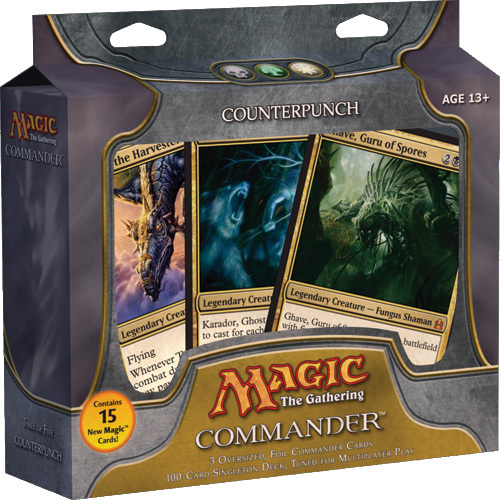 Which isn't as exciting but still glad to know that they're reprinhttp://www.blogger.com/img/blank.gifting it for EDH purposes. 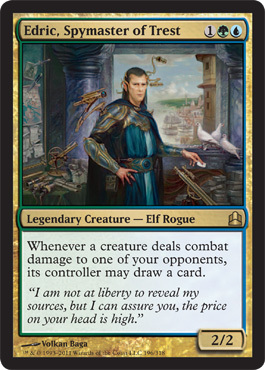 A Lhurghoyf variant that feeds itself with milling but only gets to feed off of one graveyard. This preview shows off the Join Forces mechanic that was mentioned before.